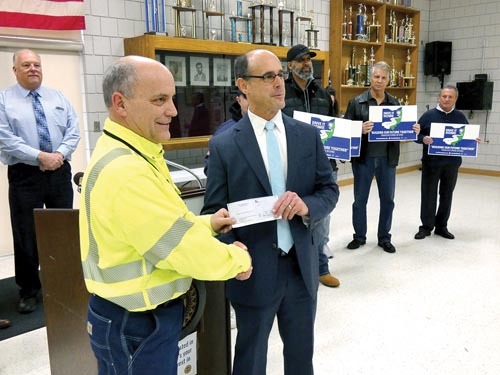 Lordstown Energy Center Plant Manager Drew Schneider presented a check for $15,000 today to members of the Drive It Home Ohio Coalition. From left are Drew Schneider, LEC plant manager and Guy Coviello, president of the Youngstown Warren Regional Chamber Foundation. More information is available in this news release from the chamber. Here are some news articles about LEC’s donation.